I can't run because of my bad left knee (torn ACL and meniscus) and swimming doesn't really interest me. So when my colleagues Gwen and Sean suggested that we from a mixed team for the Aviva Ironman 70.3, I took up their offer. 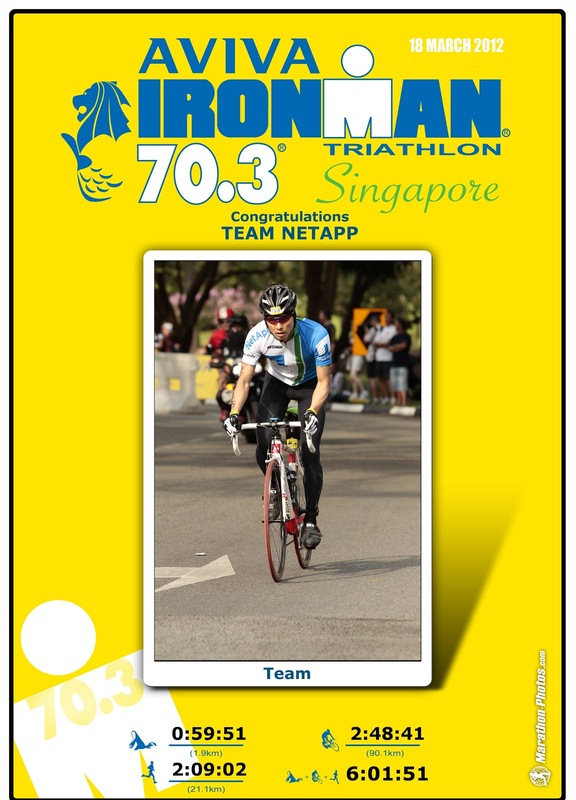 We formed Team NetApp and Gwen swam, I rode and Sean ran. This was also my final race as I tapered off before the Cape Epic 781 km and 16,300 m climb mountain bike race in South Africa in one week's time. Thus, I did not go all out but rode just above my Fuel Efficiency zone and averaged about 130 bpm. This was also my first time in an Ironman event (well, half-Ironman at least) and it was cool to see the professionals whizzing past on their loud time-trial bikes all kitted out and looking so lithe and strong. We completed the race in 6:01 hours. This turned out to be an interesting outing for me as I soaked in the atmosphere of the multi-disciplinary race and admired the beautiful aero bikes. 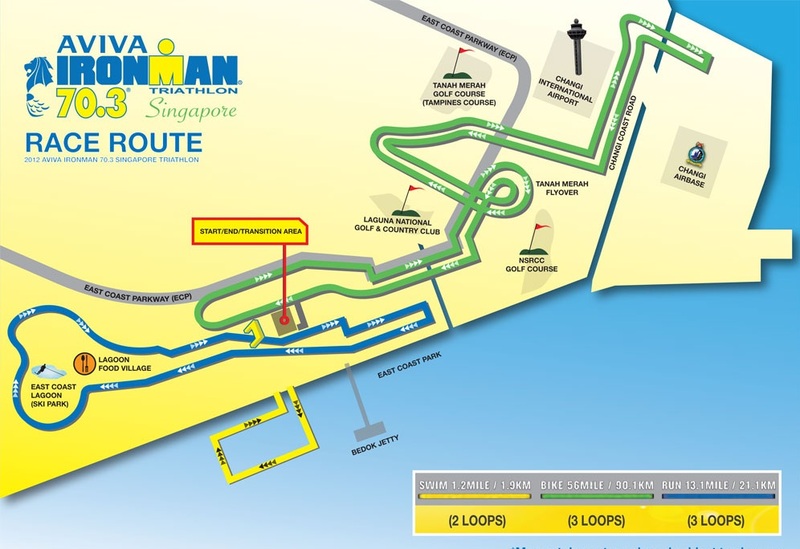 It's amazing to see how the athletes that put their bodies through such a demanding sport, especially the full Ironman. Respect! I Shaved My Head & Waxed My Legs for Childhood Cancer Research! Thank you so much for your continuous support and generous donation for NetApp Singapore's third St. Baldrick’s Foundation event. This is also my third year with the Foundation in raising funds for childhood cancer research. Two years ago I took the plunge and shaved my head for the very first time, and last year I tattooed the Foundation's mascot on my calf. This year I shaved whatever that was left on my head and as a bonus also waxed my legs (yes, I did have hair there). You helped me raise over US$34,000 and collectively as team NetApp Singapore with our partner BMC Software, raised US$147,000. The funds will go to the Duke-NUS Paediatric Cancer Research Fund in Singapore and also attracts a dollar-for-dollar matching grant from the Singapore government. Specifically, the funds will support Professor David Virshup and his team from the Cancer & Stem Cell Biology Program in their osteosarcoma work and now expand it to paediatric brain tumour research. 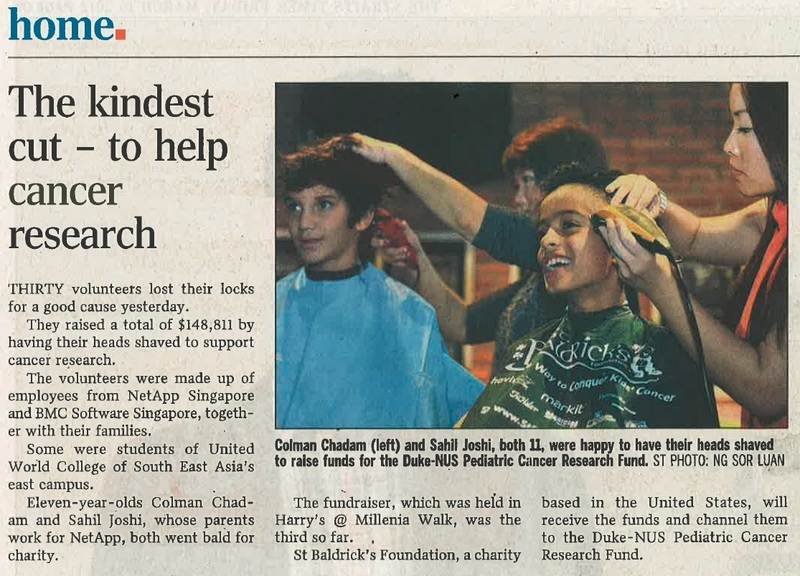 The fund raising culminated in the shaving event on 15 March at Harry's @ Millenia Walk to a packed house. Thanks again for your amazing support of this important cause! For more information about St. Baldrick’s Foundation and donors, please visit stbaldricks.org/participants/lohchingsoo.